OMG Posters! 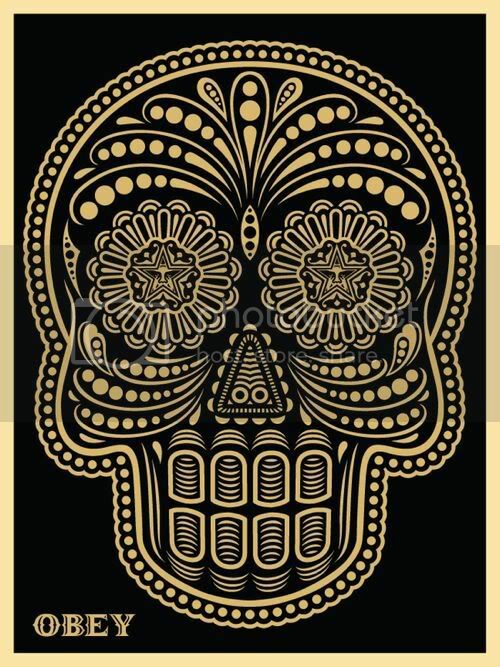 » Archive New Obey Art Print: Day Of The Dead (Onsale Info) - OMG Posters! Wow, this is great. The newest Obey art print, “Day of the Dead”, is actually by the Obey / Studio Number One employee Ernesto Yerena. It’s an 18″ x 24″ screenprint, has an edition of 300, and will be $45. It will be signed by both Yerena and Shepard Fairey. This one is set to drop sometime during Saturday, November 1st. Keep your eyes on ObeyGiant.com. I also buy to keep but buy to flip as well. I dont like all his stuff but know I can turn a profit on each piece enabling me to move into stuff normally out of my reach. Same same with everyone who buys it – everyone !